Looking for a perfect housewarming gift set for a loved ones’ new BTO home? Or are you simply looking to organize and improve your home? Our Bedroom & Closet Gift Bundle is specially crafted with essentials all handpicked by us! We will help you achieve your bedroom and wardrobe/closet goals of keeping things organized! Great as gifts (comes in a box packaging) or for your own use, make your home full of smiles with us today! Save 5% with our exclusive Bedroom & Closet Gift Bundle! Looking for a perfect housewarming gift set for a loved ones’ new BTO home? Or are you simply looking to organize and improve your home? Our Kitchen Gift Bundle is specially crafted with kitchen essentials all handpicked by us! For anyone who shares a passion for cooking, you will definitely find each essential extremely handy. Great as gifts (comes in a box packaging) or for your own use, make your home full of smiles with us today! Save 5% with our exclusive Kitchen Gift Bundle! Organize your smaller clothing articles effortlessly with our Pristine Undergarment Organizer Box! Perfect for tidying up undergarment, lingerie, bras, socks and more, this wardrobe holder allows you to maximise closet space while keeping its contents dust-free. Make your linen essentials accessible today! Maximise your kitchen and bathroom space with our Stackable Corner Rack Organizer! 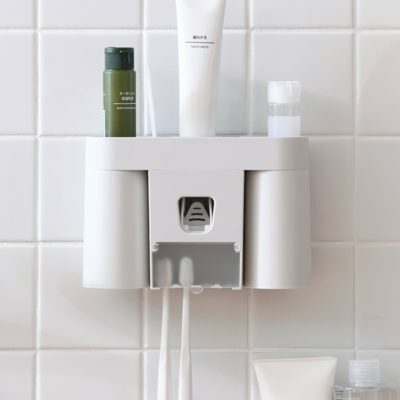 As its name suggest, this unique holder allows you to utilise height in corner spaces while helping you to keep your essentials organized! Made with stainless steel, add a lasting, functional and beautiful rack to your home today! Promo: Save 10% when you purchase a 2-piece set! Exquisitely and sturdily crafted, our Ascend Shoe Rack is the perfect way to organize footwear for the modern home! Its slim design allows you to maximise storage space while the open concept allows you to access your favourite shoes easily. Made with quality stainless steel coupled with a minimalistic design, organize your footware effortlessly today! Store your favourite garnishes and essential cooking ingredients with our Garnish Mini Food Container! This compact container is perfect for herbs, garlic, spring onions, ginger, cherry tomatoes and more. Besides, it comes with a unique drainer to keep them fresher and tastier for a longer time! Promo: Save 5% with a 4-piece Family Set! Slim and uniquely-designed, our Ladder Clothes Hanger helps to organise your closet while increasing storage space for more clothes. Perfect for hanging long pants, jeans, shorts and even ties, make this well-designed hanger the latest addition to your wardrobe! Promo: Save 7% with a 2-piece promo! Crafted with the finest materials, our Premier Airtight Rice Box is a well-designed, convenient and protective container for your grains! Featuring an airtight seal, it helps to maintain freshness while keeping out unwanted bugs. Besides, the rear roller wheels also ensures easy reachability every time you need it. Made to last a lifetime, store your staple food with ease today! Sometimes all you need is a desk organizer to make your table as good as new! Our Essentials Desk Organizer is perfect for keeping your cosmetics, beauty essentials and stationery neat and tidy! It features plenty of slots suited for brushes, perfumes and creams. Besides, it has a unique pull-out drawer compartment for smaller accessories as well! Organize your desk effortlessly today! 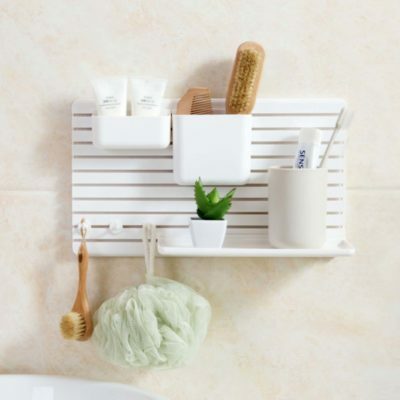 Minimalistic and sleek-looking, our Kurve Bathroom Wall Holder is the perfect essential to keep your bathroom neat and tidy! With wall holders, you maximise storage space while improving reachability as well. Available in a 3-piece set, keep your toilet clutter-free with us! Keep your kitchen towel within reach with our Magnetic Kitchen Towel Fridge Holder! This must-have kitchen accessory comes with a holder designed to help keep your kitchen essentials such as cooking spatulas, sandwich bags and more. Easy to use and space-maximising, keep your kitchen spruced up today! 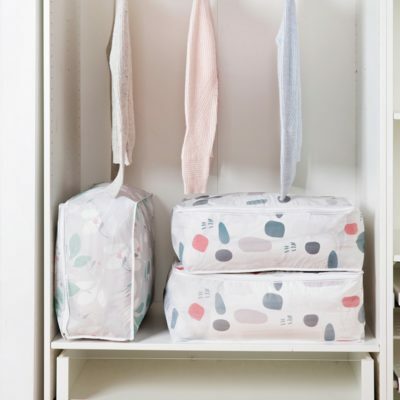 Designed with elements inspired from mother earth, our Nature Quilt & Clothes Storage Bag is lovely way to store your bedding essentials and clothes! Featuring a splash-proof exterior what keeps out dirt and dust, this organizer holds your quilt, blankets, comforters and your favourite clothes! Now, keeping your linen essentials protected has never been easier. Love nature prints? Browse our Nature Home Essentials Collection! Our Scandinavian Cloth & Towel Holder brings the best of Swedish design to your dining experience! 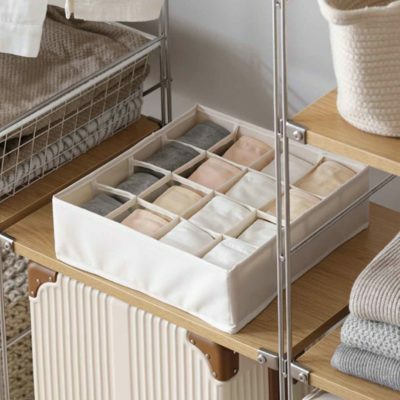 Featuring a space-saving foldable design, this organizer is easy folded up when not in use. Air and dry your kitchen cloth beautifully today! In love with Scandinavian designs? Shop our Scandinavian Christmas Collection! Elegant, simplistic and handy, The Elegance Jewellery Standing Organizer is the perfect way to organize your jewellery and beauty accessories. From necklaces and earrings to bracelets and rings, this holder keeps them neat, tidy and protected. On the inside, It features miniature hooks to hang your necklaces and earrings. At the base, it comes with a unique slide-out slot for rings and bracelets. 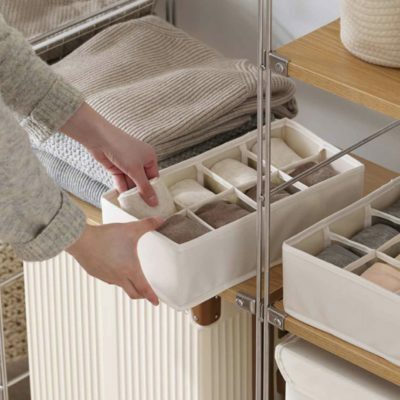 Gorgeous and well-designed, organize your accessories in style today! From cleaning window sills to dusting corners, our Window Sill & Corners Cleaner is a must-have for a hygienic home! Its slim design helps you clean hard-to-reach places that usually goes untouched. Coming in a 2-piece set, keep your nest spick and span today!